It’s time. We. Need. Help. You asked what you can do? Please donate to give Kadence & Addison a safe lifestyle that promotes their independance. Kadence & Addison were both diagnosed in the Spring of 2015 with Friedrich's Ataxia (FA). They are also both suffering from related conditions such as Cardiomyopathy & Scoliosis. FA is a rare, neuromuscular, debilitating disease that is robbing them of their mobility. They already require a wheelchair to get through their day, and will eventually rely on a wheelchair 100% of the time. 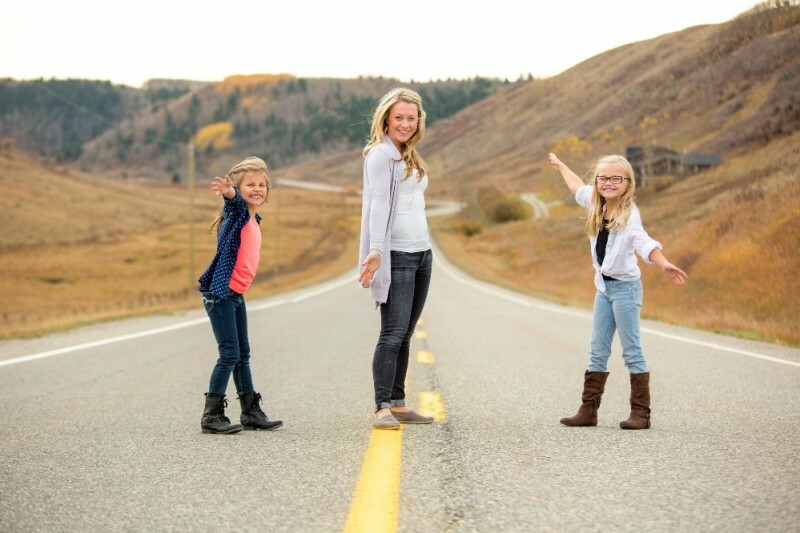 Their mom Shanna is a single mom, who juggles a full plate already with her full-time job and the extensive changes this disease brought to their day-to-day life. They require additional therapies and programs daily to sustain their mobility. There is no cure. Their current home is a 2-storey and Shanna is having to carry these two growing girls up and down the stairs several times per day, as the girls no longer have the strength or coordination to manage them independently. Our committee was initially formed to alleviate the day-to-day tasks such as cooking, cleaning and shuttling the girls from school to therapies to programs, while raising money to assist in the additional (and extensive) health care costs that are not covered by Alberta Health Care. Once we realized the magnitude of what was actually needed to provide the girls with a safe and nurturing environment we realized we have a much larger project on our hands. These girls need to be moved into a fully-wheelchair accessible bungalow - and stat! The thought of shopping for a bungalow, carrying 2 mortgages and executing an extensive home renovation to make said bungalow fully wheel-chair accessible was both overwhelming and financially impossible for a single-mother who works full-time and has an already full-plate of additional care that the girls require. This is where we (and hopefully you) come in. We have raised and sourced a great deal of support already, but we still have a long way to go. Since this project and campaign started last Fall we've sourced a bungalow, found an angel donor to carry the mortgage during the renovation phase, and are currently sourcing tradespeople and materials to execute the renovations. We took possession on April 28, 2016 and renovations are in full-swing. However, we're still a little short to completely execute! Every $1 helps. Your contributions will be show these girls that nothing is impossible. The word iteslf says I'm Possible. Love from Kim, Tom, Claude and Ginny Chenier.